The Language and Communication research cluster is delighted to announce a presentation by Ilham Taghiyev (Khazar University, Azerbaijan), on the case of linguistic humour. Although humour research can be traced back to Plato and Aristotle, and different disciplines in humanities, viz. psychology, syntax, semantics, pragmatics are involved in suggesting several theories of humor, hitherto none of them has been able to encompass all types and kinds of humour under one theory. Moreover, scholars who mentioned the existence of unintentional humour (Attardo, Raskin, Ross) left the question of distinguishing between intentional and unintentional jokes open. This talk is aiming at demonstrating a different – semiotic approach to ambiguity-based humour research in one respect viz. attempting to find out the relationship between linguistic sign that is ambiguous and unintentionality of humour. Ilham Taghiyev is a Lecturer in Linguistics at Khazar University, Baku, Azerbaijan. He is currently a visiting researcher at Middlesex, in the English subject area of the Media department. He graduated from Azerbaijan University of Languages and as an international student, attended courses at Delhi University, Indian Institute of Foreign Trade and the University of Edinburgh. His research topic is “The Cognitive Properties of English Humour”. He is a participant of scientific conferences and the author of several articles. 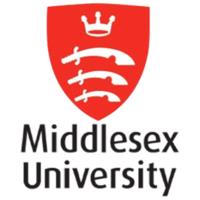 Currently he is a doctoral research exchange student at Middlesex University. He speaks 4 languages: Azeri (vernacular), English, Russian and Turkish. Besides Linguistics, his sphere of interest (hobby) encompasses ancient civilizations, paranormal cases and abilities, numerology, astrology and ufology. Last month, Ian McGuire, author of the celebrated novel, The North Water, visited Middlesex to answer questions from BA English students. The event was sold out and a great success. If you missed it, or would like to watch it again, here’s the footage of the discussion.